This came in the mail. Do you know what it is? 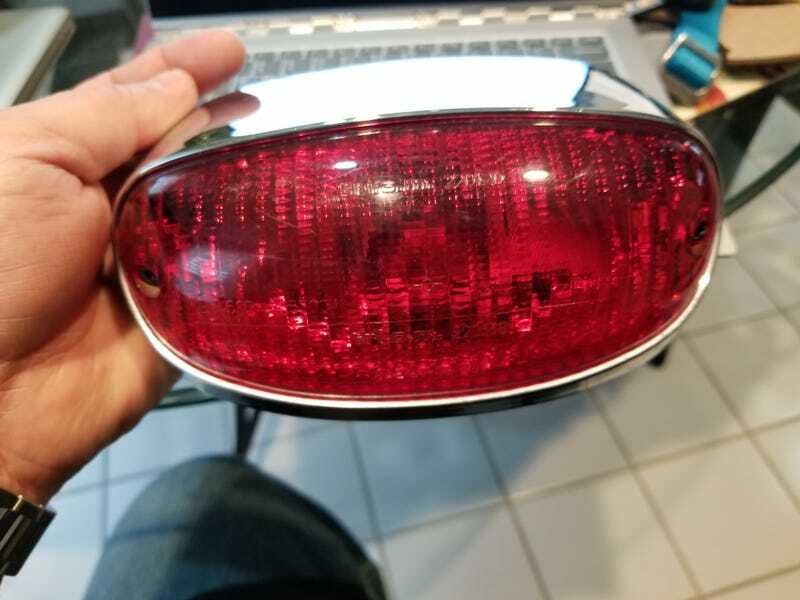 Vespa taillight! Replaces aftermarket with stock. I bet you thought I forgot this project.